MicroBilt is the leading provider of alternative consumer data for underwriting and risk management for 40 years. We believe that any successful company needs access to the right information to make the smartest decisions possible. MicroBilt has a well-earned reputation as a responsible fiduciary of highly sensitive personal data for many sectors in our industry. We combine our own proprietary data with federal, state and third-party sources to provide the most accurate, extensive and timely data available. 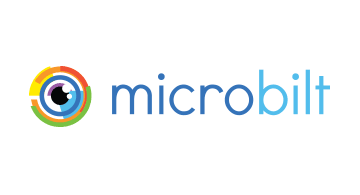 MicroBilt also features our Instant Bank Verification (IBV) for real-time account aggregation and offers live balance information to help you make the right risk and payments decisions. MicroBilt’s Payments Solutions combined with our rVd-eCheck Services reduce returns and protect business from ACH fraud, directing all returned checks, electronic checks, and remotely creates and deposits image cash letters on your behalf and has an option to use our centralized account to reduce the returned item bank fees. MicroBilt’s Payment and ACH risk verification products are used across industries including ACH/eCheck Processors, Physical Retail and Online Retailers, Billers, Utilities, Collection Agencies, Grocery, Cable and Utility companies, Gaming and Direct Lenders, Finance, Insurance and Leasing Companies, Lenders, Financial Institutions. MicroBilt looks forward to meeting with you to help you achieve your Risk Mitigation and Payment Processing goals.